Motts Morning Glory Bread or Muffins are made with Motts Applesauce. I found this recipe years ago on the back of a jar of Motts Applesauce. 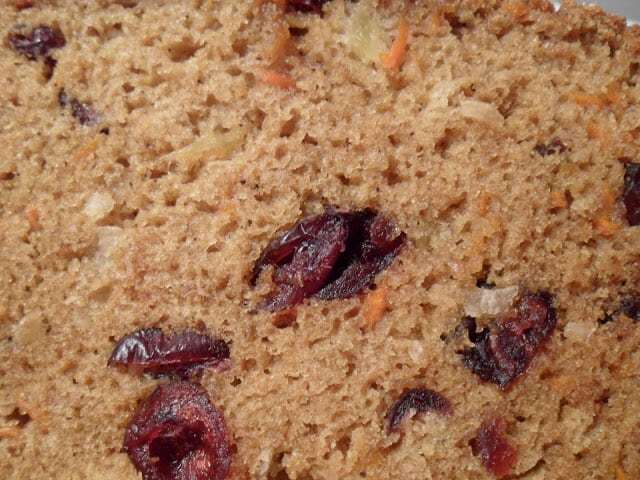 It is loaded with chunky applesauce, shredded carrots, dried cranberries, crushed pineapple and shredded coconut, making this bread super moist and delicious. Don’t have crushed pineapple, don’t fret. You could use a different crushed or mashed fruit such as bananas. When making Motts morning glory bread, if you don’t have dried cranberries there are several substitutions you can use. Dark or golden raisins would work nicely in this recipe. You could certainly use dried cherries or dried blueberries. Even dates or figs will work. Put some glory into your morning and whip up a batch of this super moist bread. But better yet, make two loaves, one for yourself or one to give away or freeze. 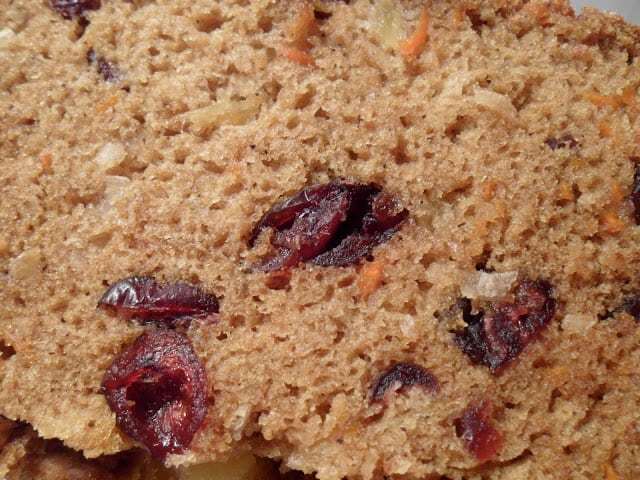 A delicious breakfast bread made with Motts applesauce. 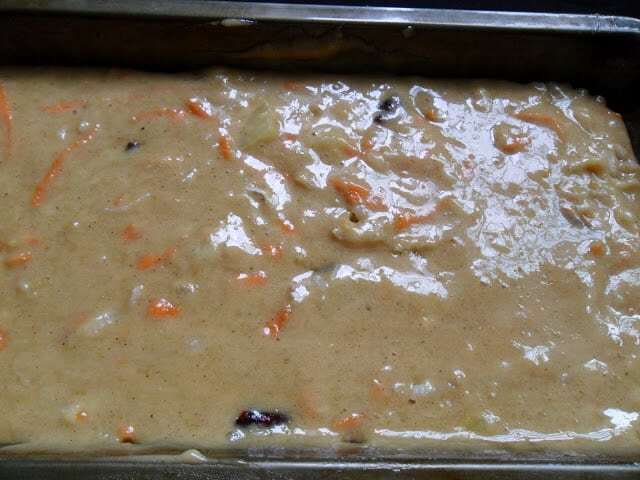 Preheat oven to 375º Grease 9 x 5 loaf pan. In large bowl, combine flour, baking powder, baking soda, salt, nutmeg, allspice, cloves and cinnamon. In medium bowl, combine sugar, brown sugar, applesauce, egg whites, oil, and molasses. Stir applesauce mixture into flour mixture just until moistened. 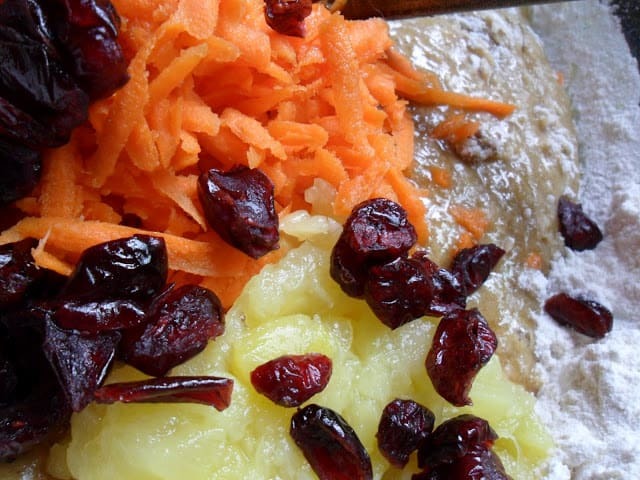 Fold in carrots, cranberries, pineapple and coconut. 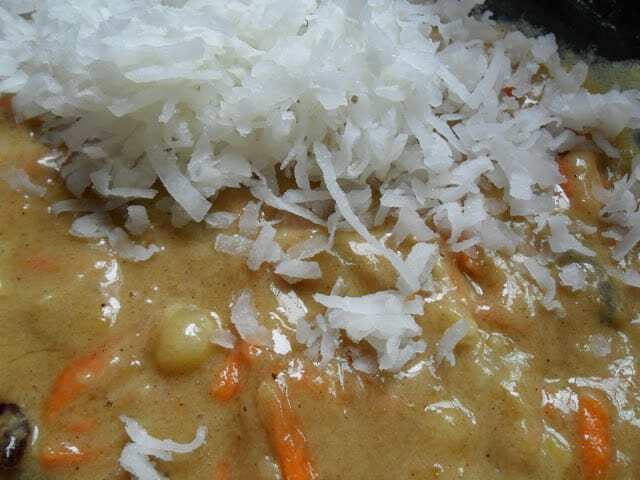 Spread into prepared pan. Bake 45 to 50 minutes or until toothpick inserted in center comes out clean. Cool in pan 10 minutes. Invert onto wire rack, turn right side up. Cool completely. *Batter can be made in a Jumbo Muffin Tin. A jumbo muffin tin has 6-each with a 1 cup capacity. 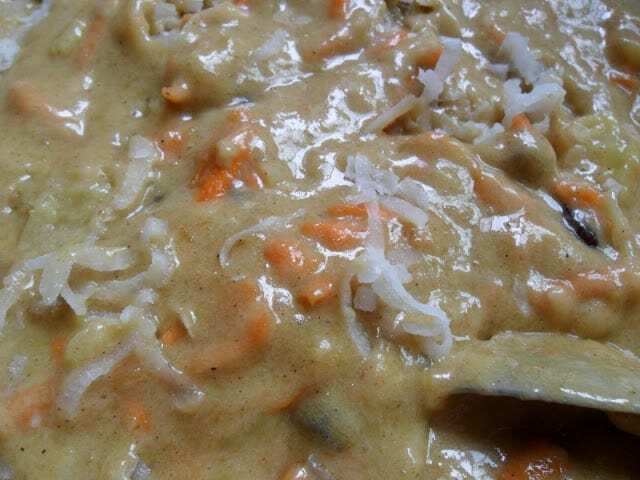 This recipe was made with Mott’s Apple Sauce. Hungry for more?? Give these delicious recipes a try. Egg and Tomato Pasta Nests, Vegetable Gratin and Butternut Squash Risotto Stuffed Squash.